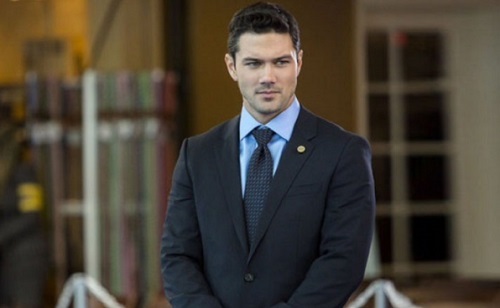 General Hospital (GH) spoilers reveal that Ryan Paevey (Nathan) is reprising an exciting role. Many soap fans are also Hallmark Channel viewers, so you might’ve caught Paevey playing another popular part. He starred in Unleashing Mr. Darcy back in 2016 and the movie was a huge hit with Hallmark lovers. Hallmark often likes to capitalize on the popularity of their flicks by dropping sequels later. 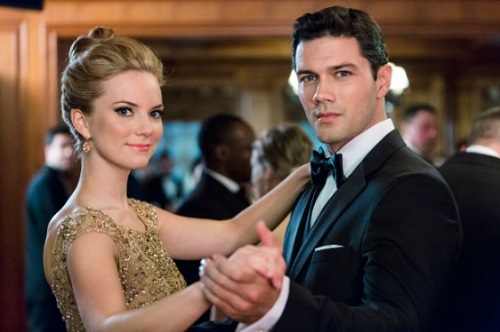 Plenty of fans were clamoring for more of Paevey as the dashing Donovan Darcy. Fortunately, they’re getting their wish. Paevey retweeted Busby’s tweet, which delighted many of his faithful supporters. There were certainly several instances of “yay” and “can’t wait” in the replies. One fan even gushed, “This has made my day!” There’s definitely a lot of love for Mr. Darcy on social media. Another General Hospital viewer acknowledged that we still miss Nathan and his pairing with Maxie (Kirsten Storms), but it’s nice to see Paevey pop up elsewhere. “We miss him as much as Maxie does, but happy there will be a sequel,” a fan said. Since Paevey wanted to do other projects, it’s nice that he’s going to be part of this fun gig. It sounds like Paevey’s going to be busy with this sequel for a while. Does that mean Paevey won’t be back on General Hospital anytime soon? It’s possible that he pre-taped some other GH scenes before his departure, but there are no guarantees. Regardless, Paevey could easily return down the road. He sent out a tweet a while back about potentially visiting in dreams, so that’d be great for fans. For now, we can look forward to Marrying Mr. Darcy! The next installment of this sweet saga will air on June 2, so be sure to check it out on Hallmark. As for what’s ahead in Port Charles, General Hospital spoilers say Maxie (Kirsten Storms) will continue to get tangled in Peter’s (Wes Ramsey) web. When will she get a clue about Peter’s dark secrets? We’ll give you updates as other GH details emerge. Stay tuned to the ABC soap and don’t forget to check CDL often for the latest General Hospital spoilers, updates and news.